Weeping ficus or fig is one of the most popular houseplants found in homes, offices, and interior landscaping. They are elegant and grow dense, glossy dark foliage, although, when stressed, it will shed its leaves easily. It has slender branches that arch gracefully from a light gray trunk. It is sometimes confused with Ficus microcarpa, which is actually less weepy and more upright. Weeping fig is one of the best plants for improving air quality indoors. It has one of the top removal rates of toxins like formaldehyde, benzene, and trichloroethylene from contaminated indoor air. Weeping figs are tropical trees native to Southeast Asia but can be grown successfully as houseplants in colder climates in regular room-temperature conditions. Indoors and out, weeping figs have 5-inch long glossy green leaves on droopy branches. Outdoors the weeping fig grows up to 60 feet tall, but indoors the tree can grow in a container and be pruned to control size or trained as a bonsai. The weeping fig needs a bright room, even with a little direct sun in the morning. In its native habitat, it is often grown in semi-shady conditions, but indoors it needs good light to thrive. This plant dislikes being moved and may drop leaves if it is. It is important you find a good, bright spot for it and keep it there. Any good, fast-draining potting soil will likely do. Weeping figs do not require soil that is especially high in nutrients or organic matter. If re-potting, use a soil-based potting soil that contains perlite, sand, and vermiculite for improved drainage. Keep the plant steadily moist, but do not allow it to sit in water or it will drop leaves and suffer from root rot. In its native environment, plants typically drop leaves at the beginning of the dry season, which makes them exquisitely sensitive to changes in moisture. Make sure your watering schedule is consistent. The trees do best with nighttime temperatures between 65 and 70 degrees Fahrenheit and daytime temperatures between 75 and 85 degrees Fahrenheit. Consider setting your thermostat to regulate temperature fluctuations in your home. In the summertime, do not use heavy air conditioning, since weeping figs will suffer if the indoor temperature drops below 70 degrees. As tropical natives, weeping figs prefer high humidity. If they become too dry, indoor trees may begin to lose their leaves. Consider using a humidifier to regulate humidity levels in your home. Keep the soil moist around the base of your tree, and mist the tree’s leaves occasionally to prevent them from drying out. Although it is a little more challenging, it is possible to overwinter weeping figs in temperate areas without massive leaf-dropping, but it will require careful attention to watering and temperature. These plants are heavy feeders and need plenty of fertilizer throughout the growing season. If your plant is dropping leaves despite having ideal lighting, temperature, humidity, and fertilizer levels, try supplementing with a little magnesium and manganese. If that does not work, check for common pests including aphids, mealy bugs, scale, and whitefly. 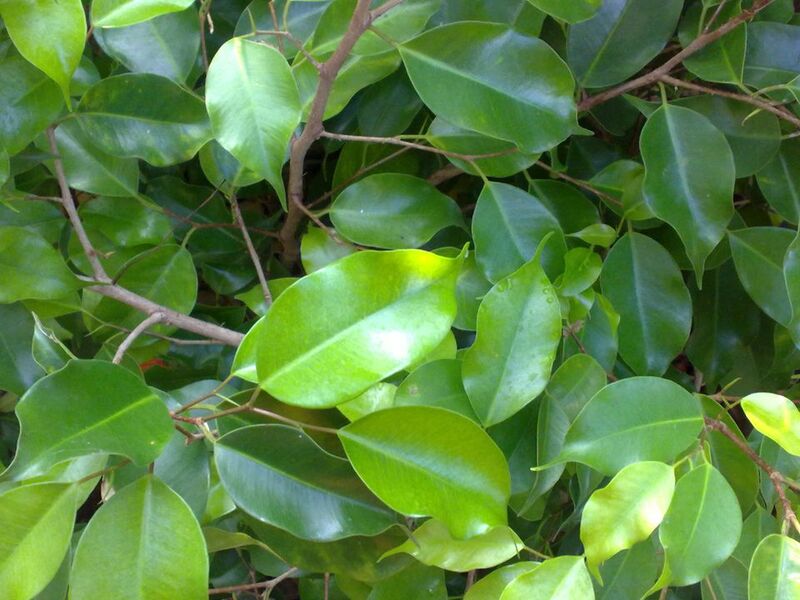 A healthy ficus is a fast-growing plant and will need careful attention to its pot. If you notice your plant is growing more slowly, it is probably because of low water or low temperatures. The repotting requirements also depend on how you are growing the plant—ficus is incredibly flexible. They can be grown as standards, topiary, braided standards, regular houseplants, and even bonsai. Take your cues from the plant and repot annually in many circumstances. Weeping fig can be relatively easy rooted from cuttings, even without rooting hormone. It is best to take a cutting in the spring when you can more easily supply warmth and moisture. Ficus is rarely grown from seed and most indoor plants will never fruit or yield seed. Trimming ficus trees is necessary if the plant is touching the ceiling or you want to make it smaller. Timing is important. Pruning should take place when the plant is no longer actively growing. Most plants are active in spring and summer, with growth dying down in fall. By winter, the plant has gone into dormancy and is less susceptible to injury. Therefore, winter is the best time for trimming ficus trees. Also, make sure to prune away dead branches and pick dead leaves to prevent the spread of diseases or fungal infections that can severely affect your plant; this pruning can be done any time during the year. F. benjamina and F. microcarpa are often grouped together and confused with one another, as they are very similar plants. F. benjamina has a more weeping growth habit, while F. microcarpa grows more upright. F. benjamina cultivars have been bred for novel and useful growth habits, such as the spire, which is a columnar plant. Look for darker-leaved varietals for better indoor growth as they are more likely to be tolerant of low-light conditions.